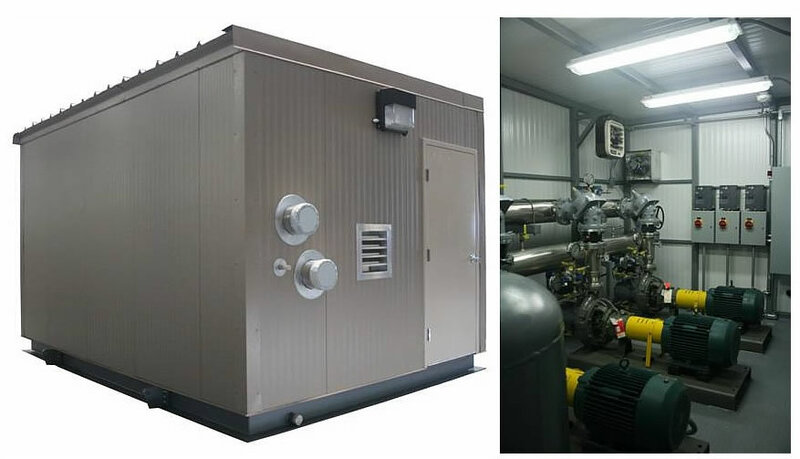 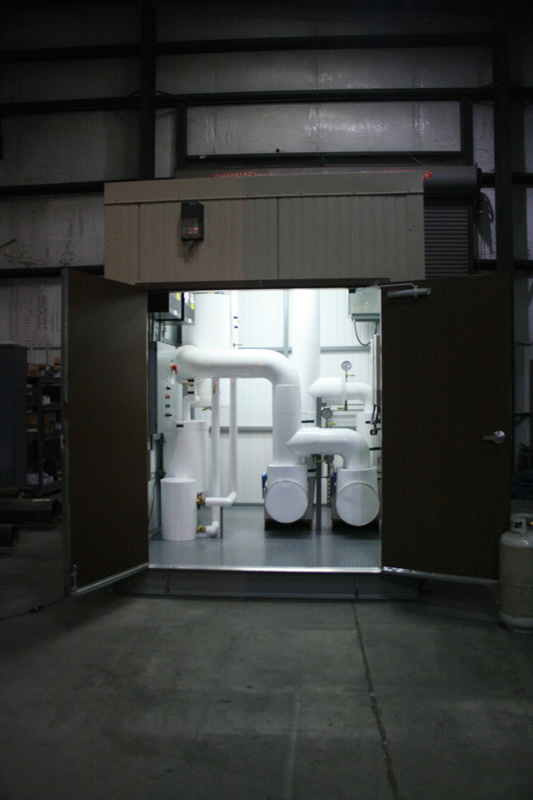 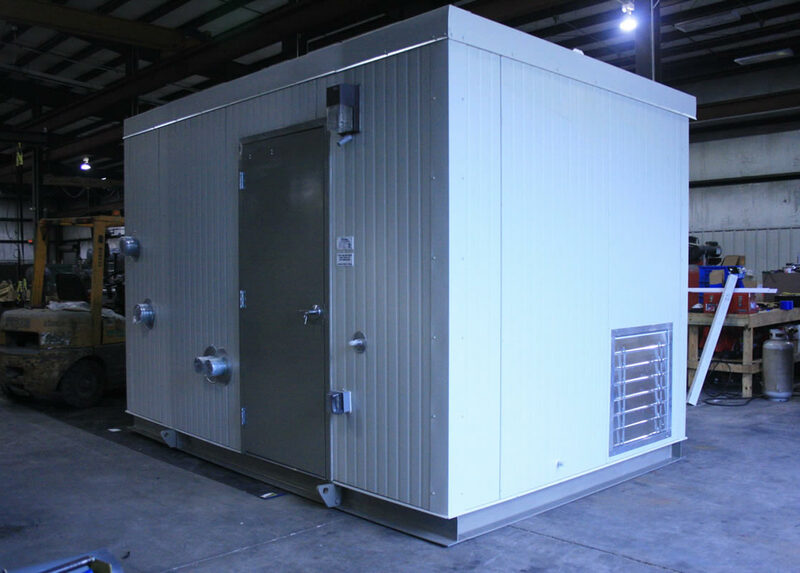 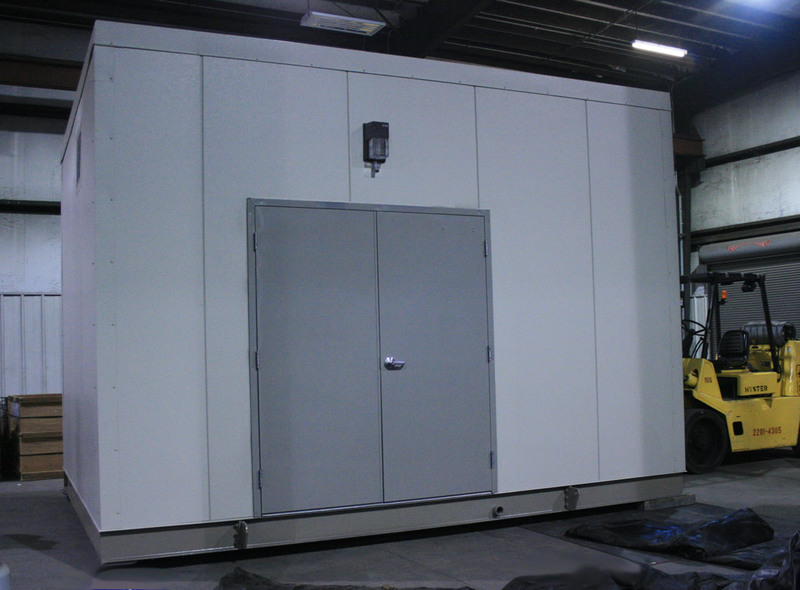 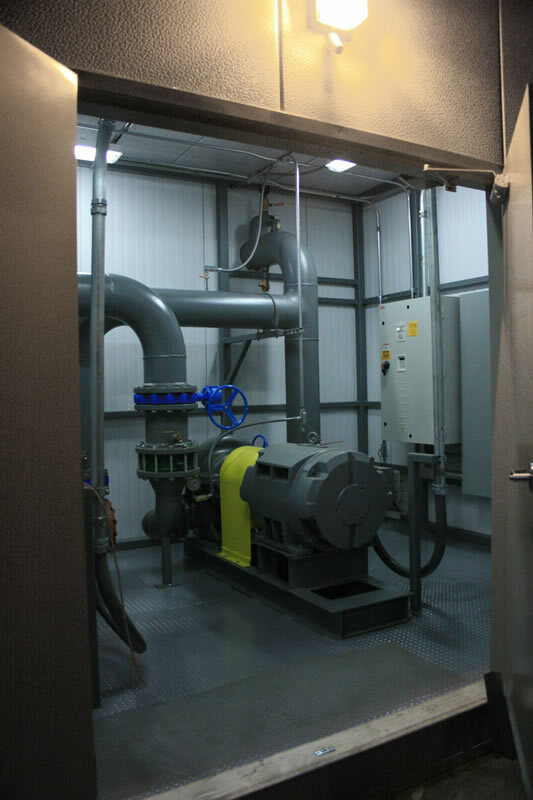 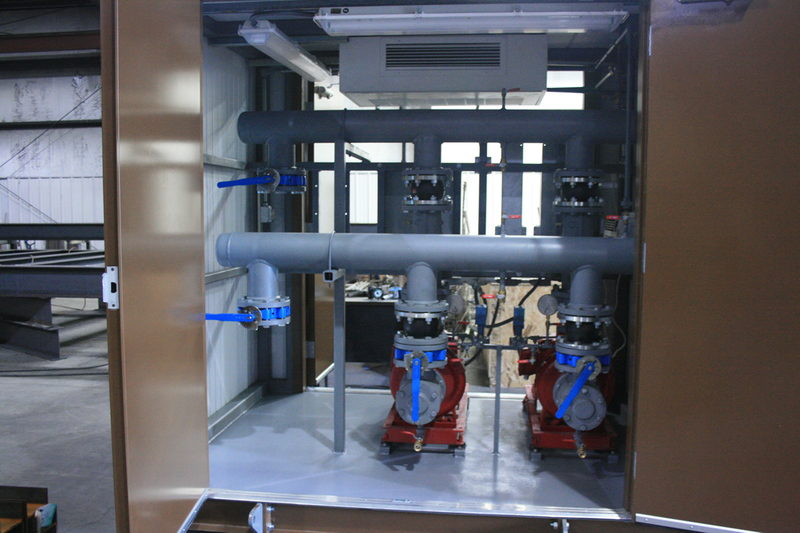 Our modular pump house, the envirosep MPH, is a factory engineered and manufactured, stand-alone, UL-Listed mechanical room for use in any commercial, industrial, or municipal fluid handling application. 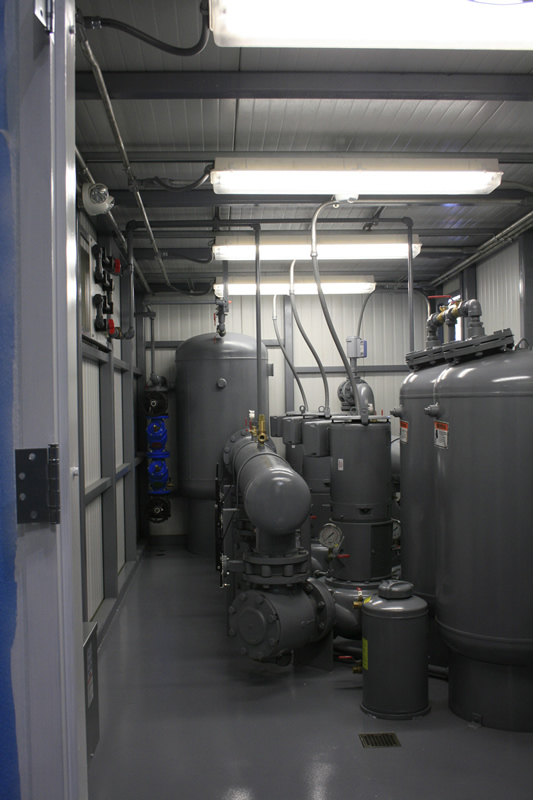 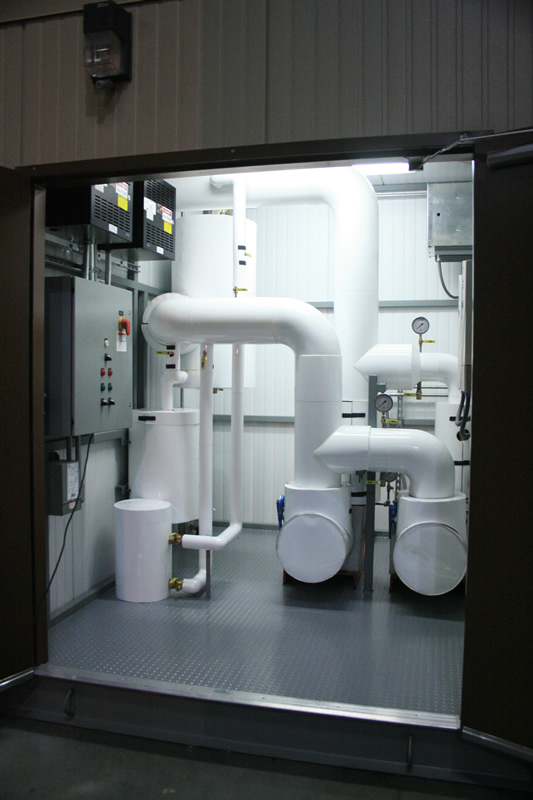 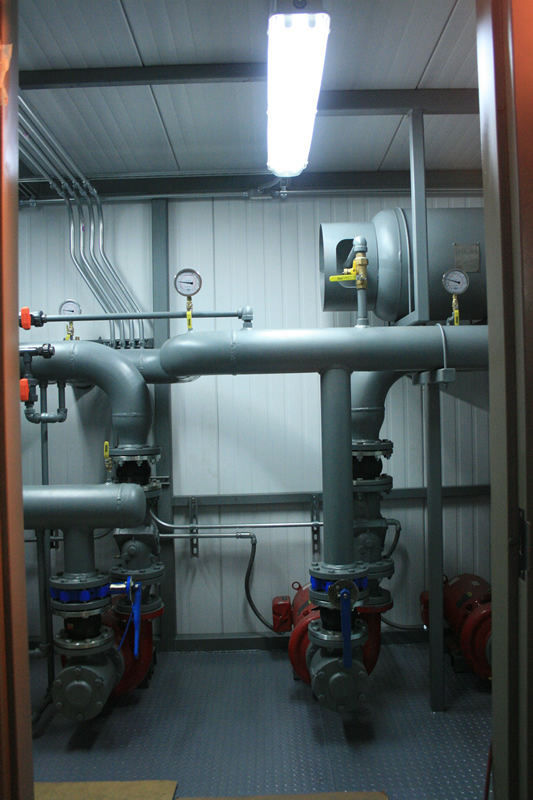 It includes your choice of pumps, valves, fittings, and can include hydronic accessories such as expansion tanks and air separators as well as electrical components such as VFDs, control panel and power distribution. 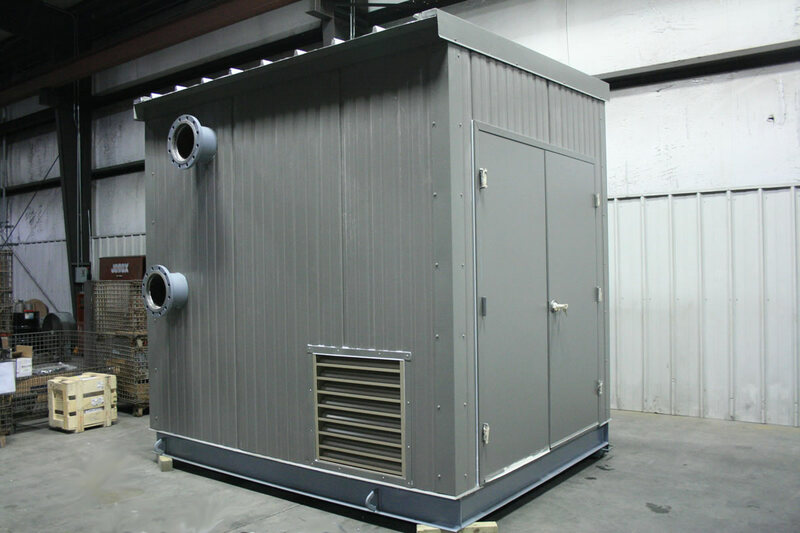 Our modular pump houses are designed for either new construction or retrofit.We build our standard envirosep MPH with 2” thick wall and roof panels with an R-value of 13 and a flat exterior profile with a heavy embossed texture. 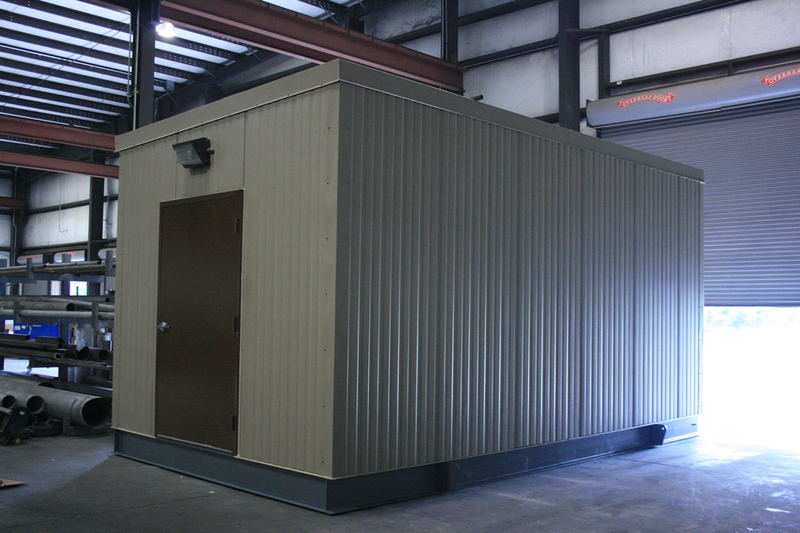 We can customize, if requested, and offer a variety of colors and architectural panels. 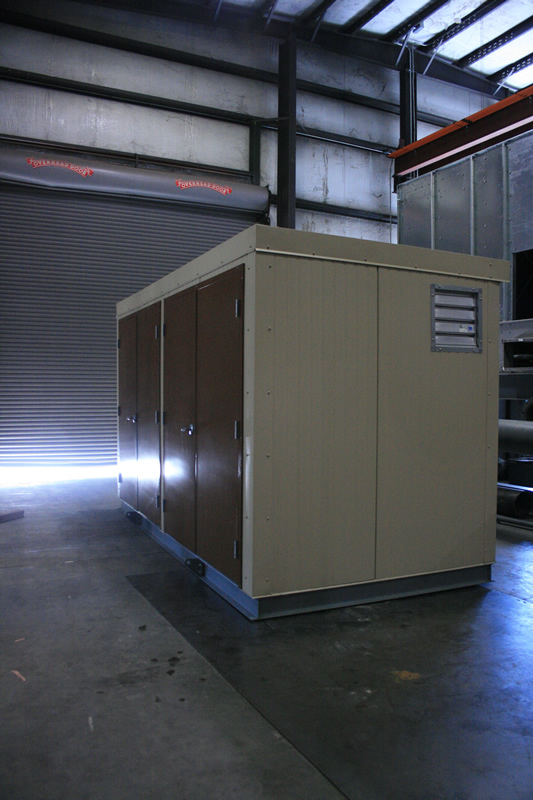 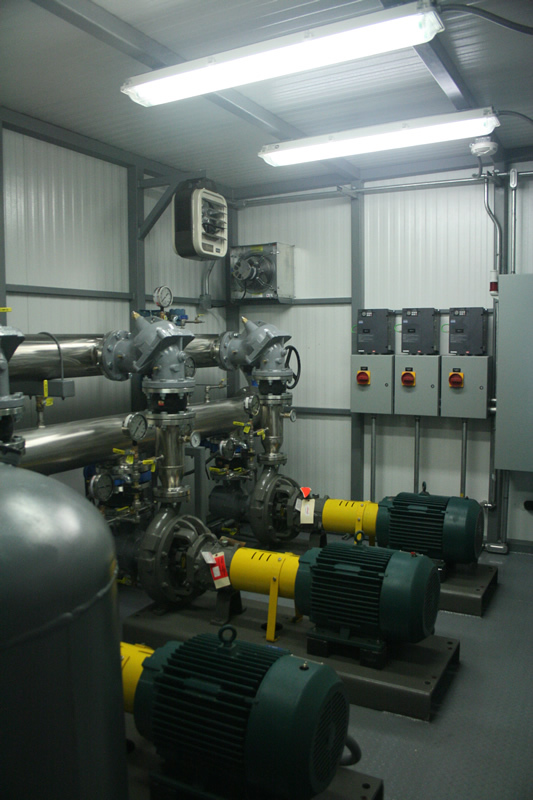 Each pump house contains lights, receptacles, and standard access doors and panels for equipment servicing as needed. 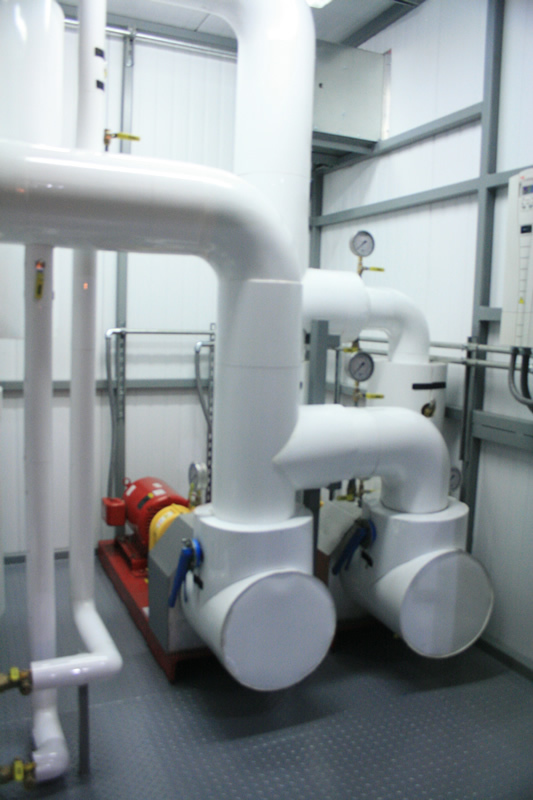 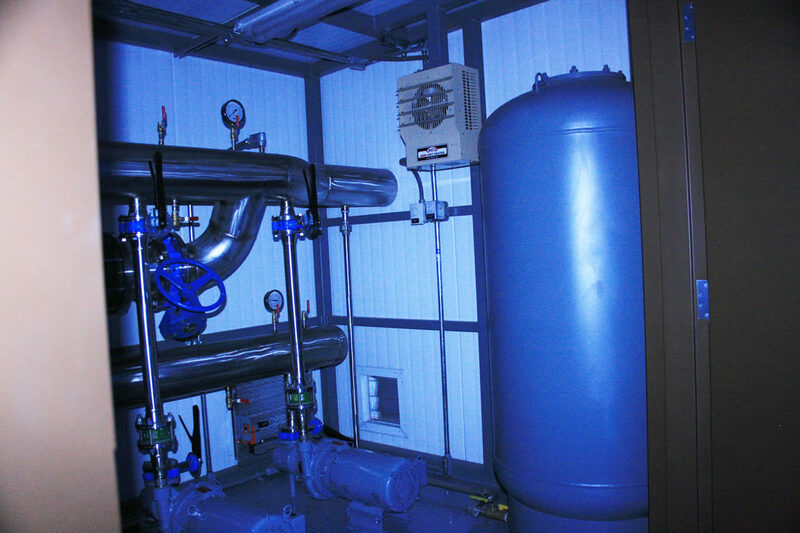 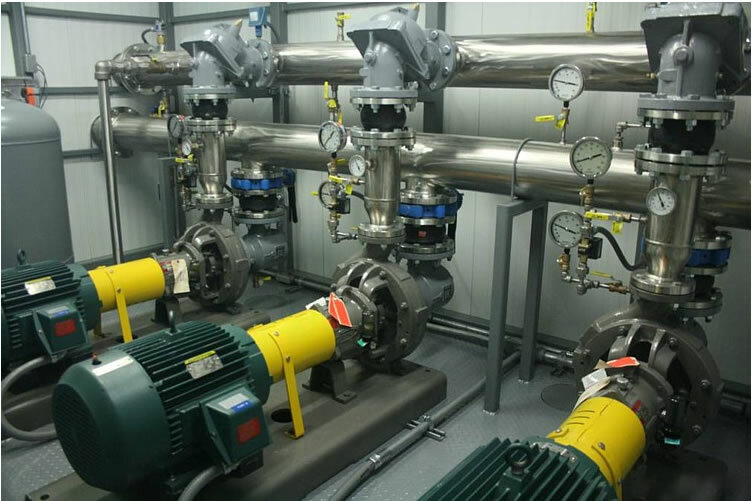 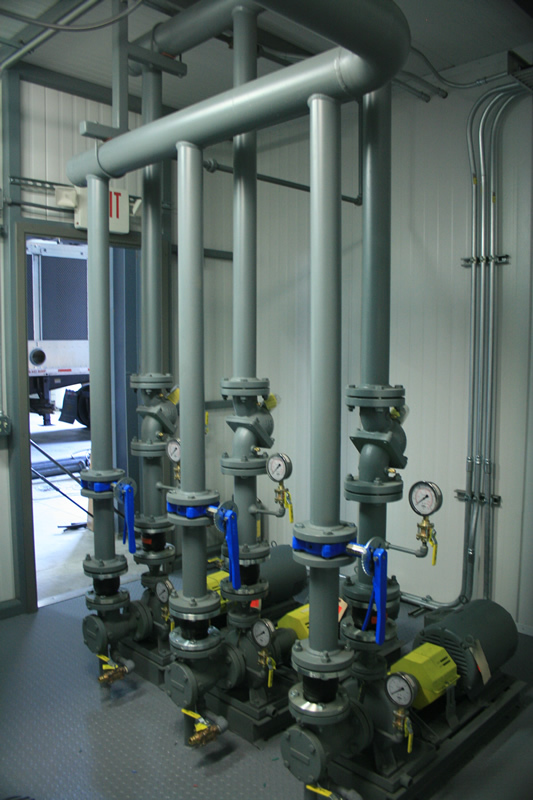 Our packaged pumping system may be configured for pumping a variety of fluids at a controlled flow rate in any commercial, industrial or municipal application.